Originally from Ireland, Donal McCracken has been an academic for nearly 40 years, with a research interest divided between environmental history, media history and the Irish diaspora in Africa. Books to his credit include nine sole-authored, two joint-authored and six edited. He was Dean of Humanities between 1994 and 2009, and is at present Academic Leader for Community Engagement and AL for Psychology Howard College (SAHS) 2018. He is a former chair of the Alan Paton Centre and Struggle Archive Advisory Board. He has been named South African Genealogist of the Year and won the Zululand Historical Society Award. 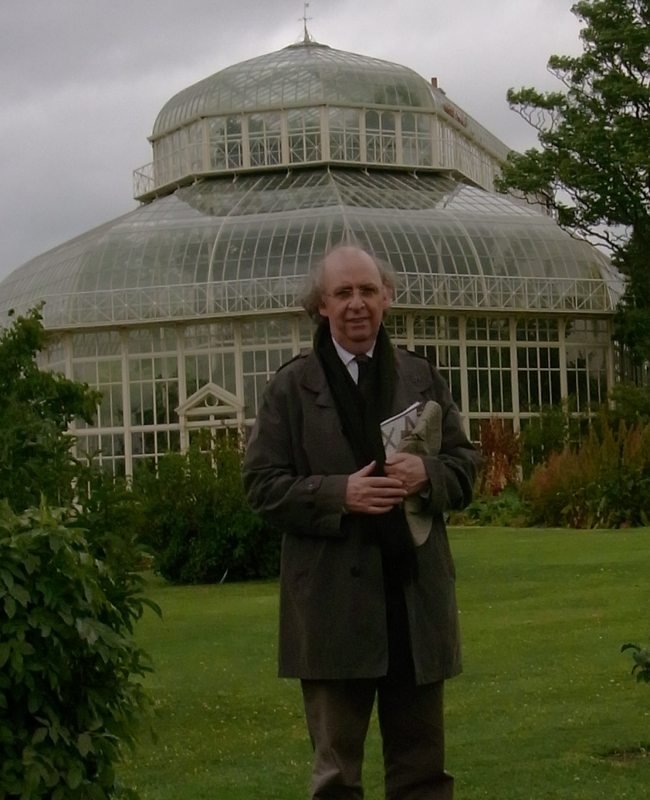 He was the founding chair of the Durban Botanic Gardens Trust; is a former president of the Irish History Students’ Association; and was Irish Universities’ Debating Champion. Junior Research Fellow at Queen’s University of Belfast. History lecturing staff: Rhodes University; University of Natal; University of Durban-Westville. The Angry God: Brigadier-General John Nicholson. Contract signed with the History Press of Ireland, Dublin. (Ed.) Media and empire (with Ruth Teer-Tomaselli). Routledge, London & New York, hbk, ISBN: 978-1-138-18432-9 (2016) & pkb, ISBN 13: 978-1-138-30935-7 (2017). [Articles published in Critical Arts, 28.6/29.1, 2014/2015]. Teddy Luther’s War: The diary of a German-American in an Irish-Boer commando, 30° South Publishers, Johannesburg, 2013, 168pp. ISBN: 978-1-920143-76-3. (Ed.) ‘Essays and source material for Southern African-Irish Studies’, as vol. IV, Southern African-Irish Studies, (2012), 188 pp. ISBN 978-0-620-52008-9. Inspector Mallon: Buying Irish patriotism for a five-pound note, Irish Academic Press, Dublin and London, 2009, 248pp, ISBN 978 0 7165 2993 4 (cloth) and 978 0 7165 2994 1 (paper). Saving the Zululand Wilderness: An early struggle for nature conservation, Jacana Media, Johannesburg and Cape Town, 2008, 176pp, ISBN 978-1-77009-596-0. South Africa’s Irish Heritage, 1787-2007, Pretoria South African Heritage Council, 2008, 96pp. Forgotten Protest: Ireland and the Anglo-Boer wars, Ulster Historical Foundation, Belfast, 2003, 206pp, 1-903688-18-3, [Revised 2nd edition of The Irish Pro-Boers, 1877-1902]. A history of Mitchell Park and Jameson Park, and of the Zoological Gardens, Durban, Durban Parks Department, 2001, 110pp, ISBN 0-9584125-3-7. MacBride’s Brigade: Irish commandos in the Anglo-Boer war, Four Courts Press, Dublin 1999, 208pp, ISBN 1-85182-499-5. Gardens of Empire: Botanical institutions of the Victorian British empire, Cassell Academic/University of Leicester Press, London and Washington, 1997, 241pp, ISBN 0-7185-0109-8. A new history of Durban Botanic Gardens, Durban Parks Department, 1996, 125pp, ISBN 0-9584125-1-0. (Ed.) ‘Ireland and South Africa in modern times’, as volume III, Southern African‑Irish Studies, (1996), 312pp. (Ed.) ‘The Irish in southern Africa, 1795-1910’ as volume II, Southern African‑Irish Studies, (1992), 290pp. (Ed.) ‘Ireland and southern Africa Conference papers’, as volume I, Southern African-Irish Studies, (1991), 195pp. The Garden Colony: Victorian Natal and the Royal Botanic Gardens, Kew, (with P.A. McCracken), Frandsen, Sandton, 1990, 99pp, ISBN 0-9583124-1-9. The Irish pro-Boers, 1877-1902, Perskor Books, Johannesburg and Cape Town, 1989, 183pp., ISBN 0-626-03284-6. The way to Kirstenbosch (A history of South African botanic gardens: with E.M. McCracken), Annals of Kirstenbosch series, vol. 18, National Botanic Gardens of South Africa, Cape Town, 1988, 142pp, ISBN 0-620-11648. (Ed.) A register of trees for Co. Londonderry, 1768 – 1911, introduction and appendices, (with E.M. McCracken), (Public Record Office of Northern Ireland, 1984), 80pp.